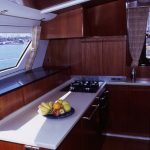 If you really want to experience the best that Italy can offer, then you should consider a Tyrrhenian Sea yacht charter vacation. The Tyrrhenian Sea is a favorite destination for sailors and yacht charter aficionados. 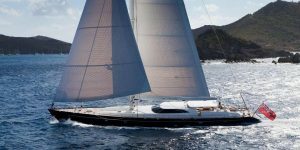 The Tyrrhenian Sea is a magnificent yachting destination in Italy. This yacht charter region is home to some famous and unusual islands of the western Mediterranean – incl. Stromboli, Capri, and Elba. The mainland’s coastline also draws a huge number of superyachts and yacht charters each year. What’s the attraction? Breathtaking cliffs and dramatic rock formations along the coast, a rich and interesting history and culture, perfect sailing weather, along with a diverse and attractive marine environment. The Tyrrhenian Sea, a popular holiday destination in the Mediterranean, is located off the west coast of Italy, east of Corsica, Sardinia and north of Sicily. The southwestern end is largely delineated by the Island of Elba. However, it is debatable as to the exact points that delineate the southwestern end. The shorelines of the Tyrrhenian Sea are teeming with granite formations due to the numerous undersea volcanic ranges. Seen on the surrounding islands and the Italian peninsula, the under-sea volcanic nature of this region creates astounding rock formations and cliffs. This is also the reason why the region is awash with a slew of coves and bays. 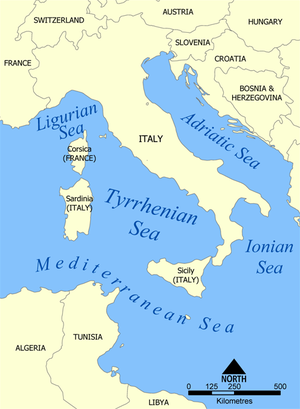 The Tyrrhenian Sea is considered by many “the home of the 4 winds”. Legend has it that the cliffs that dominate this region were where the fabled four winds were kept by King Aeolus. And, in fact, the four winds do converge in the Tyrrhenian Sea. The Libeccio emanates from the open waters along the southwestern region of the Mediterranean, the Mistral originates from the Valley of French Rhone, and the Ostro and the Scirocco come from the African continent. 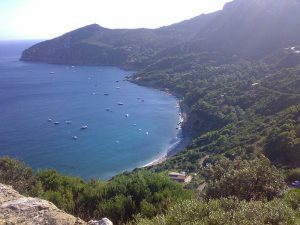 The Tyrrhenian Sea has a very interesting culture and history that you can experience on your Tyrrhenian Sea yacht charter adventure. The Tyrrhenian Sea is also famous for its fine sailing weather. We all hate a rainy vacation, but when it comes to sailing, good weather is paramount for an enjoyable time on board your private yacht charter. 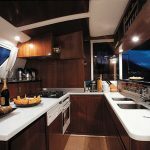 That’s why the long sunny days, with slight but predictable breezes, of the Tyrrhenian Sea are favored by so many sailors and yacht charter vacationers alike. Warm and dry weather predominates the sea-level areas year round. However in-land weather can fluctuate. While summer months are generally dry and hot, winter months can be rainy at times and moderate temperature. The best time to visit this popular yacht charter region is between April and October. 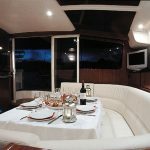 Because the attraction to the Tyrrhenian Sea is largely due to the marine environment, there is no better way to explore this area than by sea, on your own luxury charter yacht with family and friends. 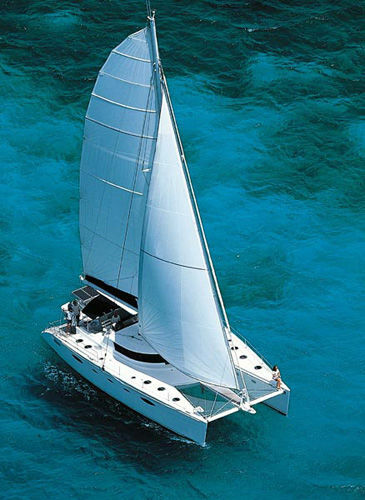 Sailing catamaran NISIDA is available now for your Tyrrhenian Sea yacht charter vacation at very attractive rates. 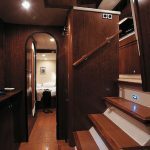 3 crew members in separate cabins with private facilities. 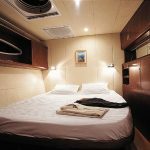 Rates include crew fees (commandant, steward, hostess), use of equipment on board, linens, and towels. Rates do not include Food, fuel, port and harbor fees. 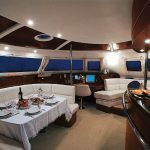 CONTACT USat 321-777-1707 to experience your Tyrrhenian Sea yacht charter vacation!